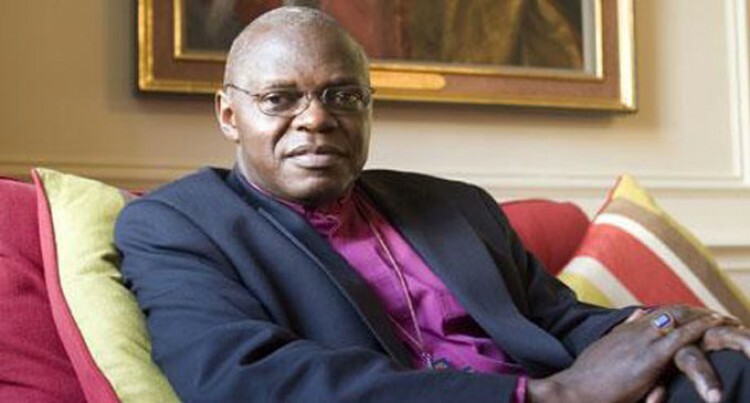 Bishopthorpe: The Archbishop of York, John Sentamu, leaves Fiji today for Tonga as part of an invitation to speak on a series of leadership reflections on climate change. He arrived from Samoa last night. Archbishop Sentamu was invited by the Archbishop of Polynesia, the Most Reverend Winston Halapua to visit Samoa, Tonga and Fiji. He returns from Tonga next Tuesday to give a public lecture on climate change next Wednesday at the Anglican Cathedral of the Diocese of Polynesia in Suva. As Pacific island states are vulnerable to the effects of climate change, Archbishop Sentamu’s visit is timely ahead of the Paris Summit in December, where 196 countries will meet to sign a new climate change agreement. “Climate change affects everyone; agriculture, tourism, fisheries, water, health and wellbeing. The skills and capabilities of local populations, national governmental authorities and regional organisations must act to ameliorate the effects of climate change. I am delighted to join Archbishop Winston Halapua for this Diocesan visit,” Archbishop Sentamu said. Earlier this month, the General Synod of the Church of England overwhelmingly welcomed the new climate change policy adopted by the Church’s investing bodies – a policy which new policy has already been welcomed from both within and outside the church. “We are greatly looking forward to welcoming the Archbishop and Margaret Sentamu in Fiji, Samoa, and the Kingdom of Tonga. This will be the first time that the Archbishop of York has come to this corner of the Earth and our nations will be blessed by their enrichment and encouragement in our common mission. One of the global issues which is impacting our region requiring a clear voice from the Church is the issue of climate change and sea-level rising,” he said. In addition to the leadership reflections with clergy, lay and ecumenical leaders, Archbishop Sentamu will address young people on Pangaimotu Island in Tonga. In Fiji, he will to attend ‘Lotu’ youth mission events at Suva and Ovalau, visit the Pacific Theological College and the Pacific Regional Seminary in Suva. On arrival at each of the South Pacific islands, the Archbishop and Mrs Sentamu will attend welcome ceremonies. Mrs Sentamu will address the Anglican Association of Women in Fiji. She is to meet with young mothers at Newtown and Suva. She will accompany her husband on his visit to the Sisters of the Community of the Sacred Name where they will meet with children of St Christopher’s Home in Naulu, Nasinu.